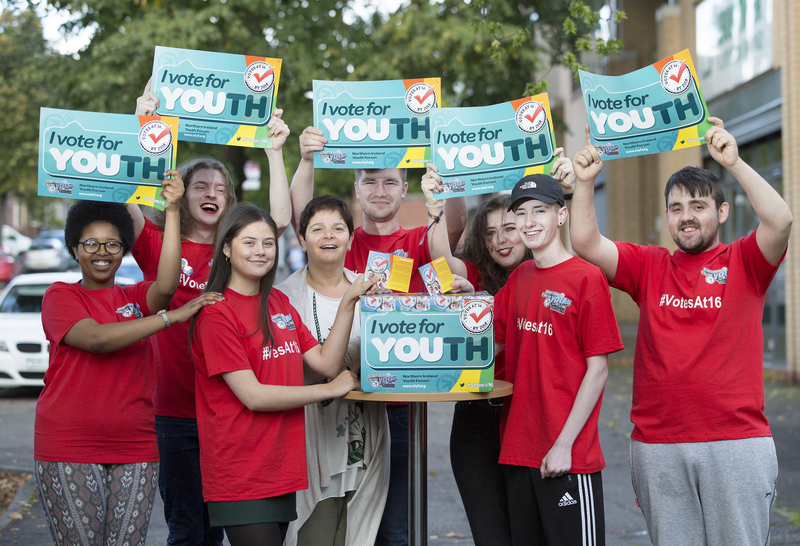 On the 15th September – to mark World Democracy Day – the NI Youth Forum launched their Votes at 16 Campaign. Hundreds of young people were joined by politicians and the Children’s Commissioner at a packed event at NICVA in North Belfast, to show their support and put pressure on the government to change the way democracy works here. NIYF Chairperson Tara Grace Connolly said: “It is ironic that you can join a political party at 16 but can’t actually vote for it. Young people at this age can get married; pay taxes; have a job; leave school; consent to medical treatment; and start a family but they cannot vote. We believe that at the age of 16 young people are interested and mature enough to decide on the type of society they want. The NI Commissioner for Children and Young People, Koulla Yiasouma is fully behind the call for reform and spoke at the Votes for 16 campaign launch at the headquarters of NICVA in Duncairn Gardens. The calls follow an early day motion at Westminster in June when Green Party leader Caroline Lucas with the support of 90 fellow MPs called on the Government to introduce legislation to reduce the voting age for national and local elections and referendums at the earliest opportunity. NIYF has been lobbying to lower the voting age for the past seven years and were present at Stormont on November 6, 2012 to see a majority in the Assembly vote in favour of the change. Back in 2012 a joint Green Party/Sinn Fein motion to extend the voting age was carried in the Assembly 51 votes to 29, with the DUP and TUV opposing it. But the vote was academic as the Assembly does not have the power to change it. This can only be achieved by Westminster. In the intervening years members of the Forum have become frustrated by the lack of progress, arguing strongly hat young people are interested in the issues that affect them and rest of society and should not be excluded from the democratic process. The Secretary of State, James Brokenshire has stated that there are no plans to lower the voting age at this time. 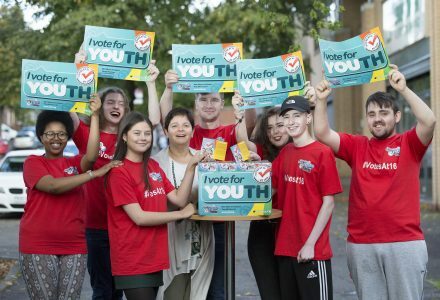 Turnouts at the Scottish referendum and the most recent General Election showed young people’s desire to engage in elections but the political will to change the voting age is not there at present.